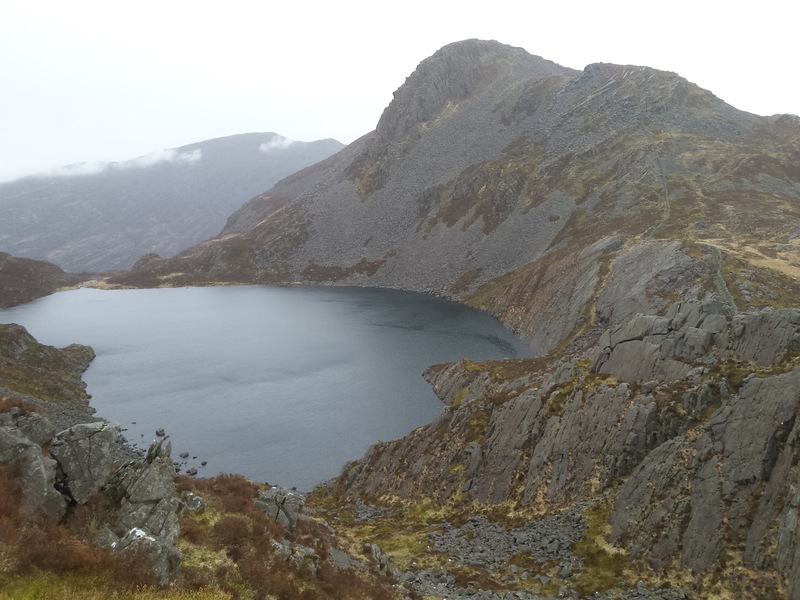 I can’t add much to the accounts of hiking in the Rhinog mountains of mid-Wales in various other blogs and forums – it really is Wales’s last wilderness, it really is very rugged, beautiful and almost unvisited, and there really are feral goats living up there. It’s a long way from the crowded and clearly marked paths around Snowdon itself (this is part of the Snowdonia National Park, but we didn’t see a single park sign or any indication of its existence – and that’s absolutely fine as long as it’s not needed). Most day hikers enter from Cwm Bychan, to the west, where it’s possible to park – there’s beautiful oak wood here with some interesting biodiversity, and you can then reach the high peaks by hiking up the so-called Roman Steps, which are in fact probably the remains of a medieval packhorse trail to Harlech. There are a few footpaths that cross the range from west to east, emerging south of Trawsfynydd on the A470, Wales’s main north-south road. However we chose the toughest option, the full length of the range from north to south, starting at Talsarnau and emerging at Barmouth. I’m not going to go into details, but we parked by a small lake above the village and hiked up to camp not too far from the very unusual stone circle of Bryn Cader Faner, known as ‘the Welsh Crown of Thorns’ (the name actually means ‘the hill of the throne of the flag’). 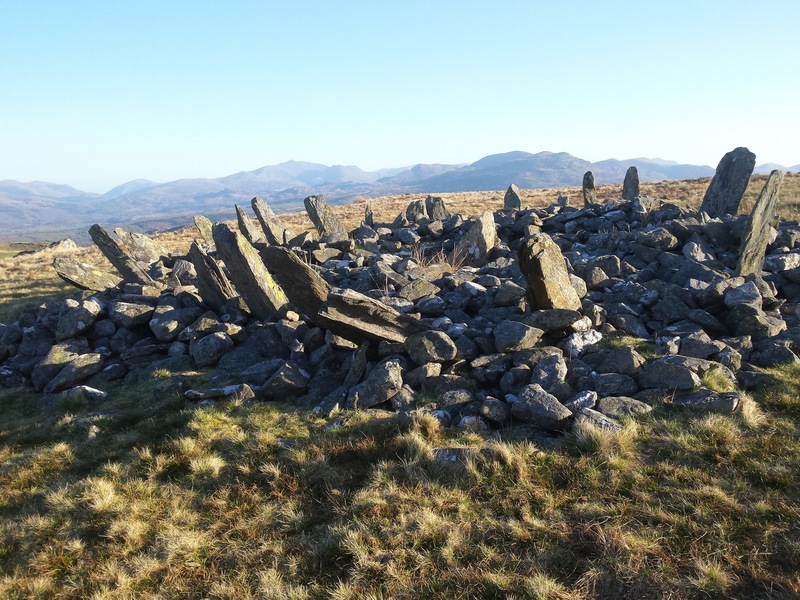 Originally up to 30 slate pillars, about two metres long, were arranged in a circle jutting out at an angle from a mound of stones; less than twenty remain, but it’s still a very striking and unusual sight. From there we climbed up and along, passing over or near the main summits, which have huge dips in between them – not quite Nepalese in scale, but you still spend a lot of time descending in order to climb again. It’s also a test of your route-finding skills, as there is absolutely no made path here – some of the sheep tracks are helpful, but some are not. The one point where I need to clarify the other trip reports and posts on hiking here is the descent from Rhinog Fawr (‘Great Rhinog’ – although it’s not actually the highest peak here) – the consensus seems to be that the direct route down into Bwlch Drws Ardudwy is the best, but this cannot be, it’s an absolute monster of a rocky chute that goes on and on (well, it’s in two parts, but you get the idea). Looking back, it seems that heading a little way west and then following the obvious slope down would work better. 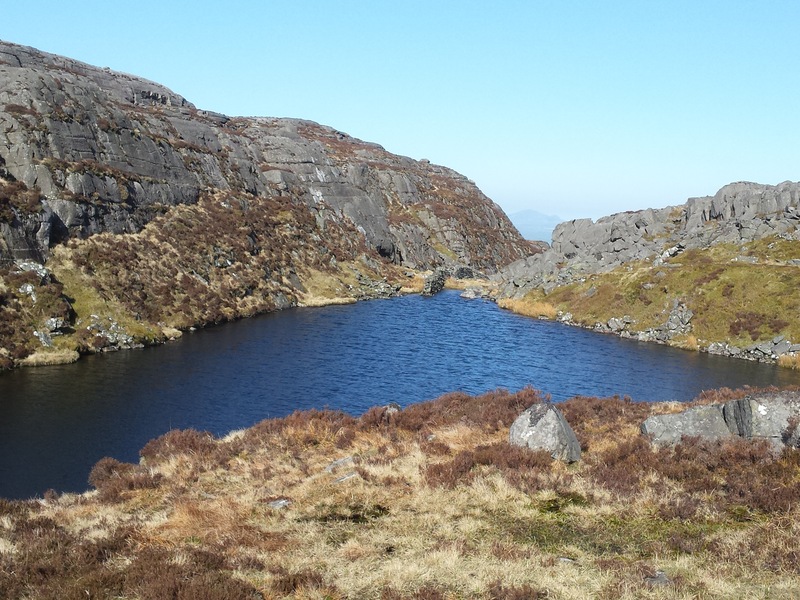 Having survived that, we managed the short climb up to Llyn Cwmhosan, a small lake below Rhinog Fach (‘Little Rhinog’) which made an ideal sheltered campsite. Next day we continued up to the larger lake of Llyn Howel (and a certain masochist went to the top of Rhinog Fach) and slogged up Y Llethr, which is actually the highest peak in the Rhinogs at 750m – but first there was a surreal moment when we got to the top of the steep section and emerged into what looked like a field, with grass and a drystone wall. An upland field, definitely, and owned by the National Trust, but still a field. And from here you pretty much follow the wall all the way to edge of the moors above Barmouth, going over Y Llethr and various other tops. In our case this was head-down into wind and rain, but your experience may (with luck) be different. We were tired, but happy – it really is a wild area with very little human impact at all in the areas we saw. In his book Feral, proposing the re-wilding of Britain, George Monbiot sounds off against the spread of heather across the hills of mid-Wales, calling it a green desert, but our local ecologist friend insists he’s wrong (after all, Monbiot is a writer, not a working ecologist). Mature heather, allowed to grow reasonably high off the ground, does provide shelter for many smaller birds and invertebrates – I saw perhaps the first grouse I’ve seen that weren’t bred to be shot. 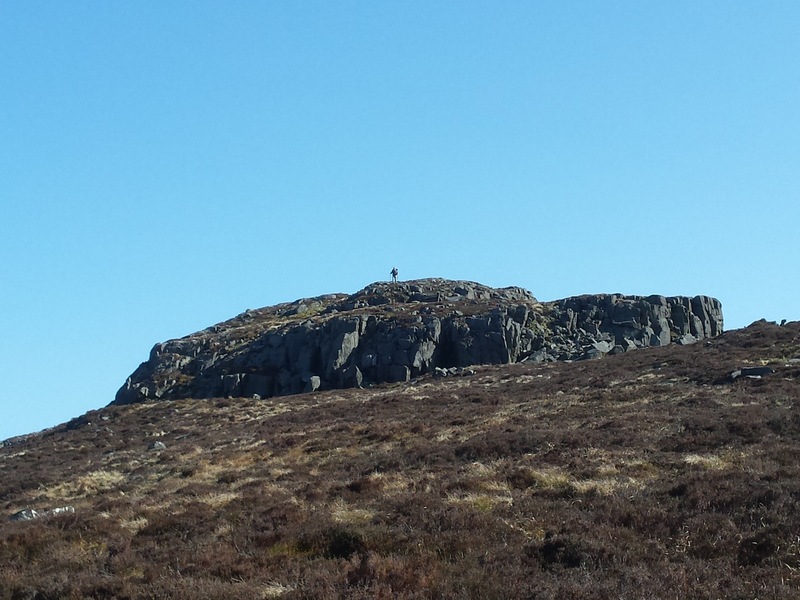 We did also see the so-called feral goats – they’ve actually been here since the end of the Ice Ages but were domesticated and then abandoned a few hundred years ago to cope for themselves – which they do perfectly well.